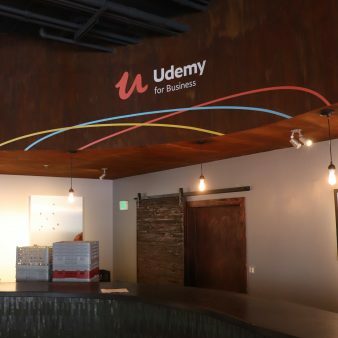 This October, Dynamite Digital worked with the design team at Udemy to help transform the Terra Gallery into the 2018 People Innovators Summit event. This was a corporate event to recognize leaders in the industry and brainstorm on the future of business learning. The majority of the graphics you see here are printed on low-tack adhesive vinyl, plotted into custom shapes, and taped for easy installation. 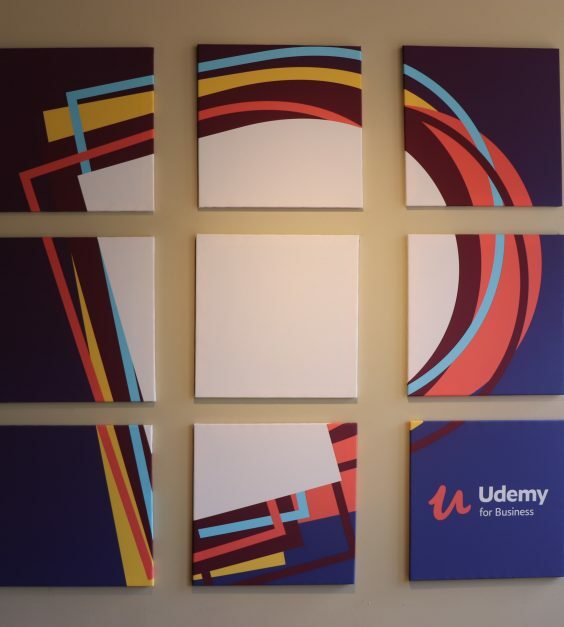 These types of graphics are especially popular with event designers because of the easy removal and installation. 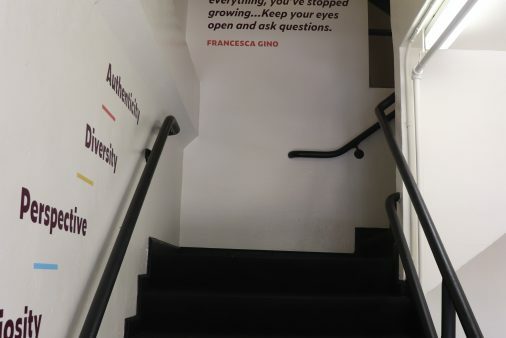 Adhesive graphics do a great job of adding personality to any interior quickly and efficiently. Not only can large format printing make your event space look great, but it can also serve a functional purpose as well. Graphics give more opportunities for you to share your company’s goals and vision to your attendees. Perhaps most importantly, these graphics can be taken down without leaving any marks or residue. To request a free quote from Dynamite Digital, click here. Thank you for your interest.